Kolkata is India's largest metropolis -- overcrowded, vibrant, volatile, exciting and charming. It used to be said, What Bengal thinks today, India will think tomorrow and of course what Bengal thinks today, Kolkata already thought yesterday! The bastion of Bengali bhadralok, the city of the bespectacled jhola slung intellectual is India's cultural capital. Today's Kolkata is a little tired, overwhelmed by the burden of too many people and not enough civic infrastructure. However it is the nerve centre of trade and industry in eastern India, and the most important city in the region. Despite being densely populated and polluted, Kolkata has its own beauty and charm. 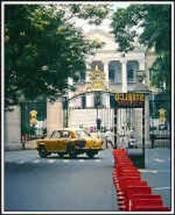 Kolkata is called the cultural capital of India. The type of Government in Kolkata is Marxist and also Kolkata has been the place of entry for the refugees of Bangla Desh and this effected the economy of West Bengal immensely. The Farakka Barrage, which is 250km north of Kolkata, has been the matter of dispute for Bangladesh and India because it affects flowof Ganges through Bangladesh. The people of Kolkata are very aware and they are well known for this attitude, throughout the country. They raise their voice against any wrong doings. Kolkata has been the birth place of poets and artists including Rabindranath Tagore the famous "Bengali Poet", the novelist William Thackrey and famous actress Merle Oberon the actress of the film" The Scarlet Pinpernel. Like Mumbai there are also many movie makers here but they are fewer. 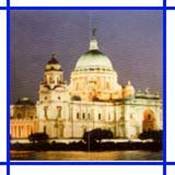 The History of Kolkata is not so old like Chennai and Mumbai and the development of Kolkata actually took place in 17th century when European expansion rooted here. Indias first under ground Metro Rail System started in Kolkata in 1984. Kolkata is full of splendid beauties including Victoria Memorial, Maidan and the beautiful Hooghly River .One very important attraction is the worth of Mother Teresa for the helpless class .In fact Kolkata is the result of the combinations of many big personalities and beauties natural and artificial. The capital of West Bengal, Calcutta, renamed recently as Kolkata, lies on the Hoogly, distributaries of the Ganges. Its close proximity to the river and sea developed it as a major commercial center. Kolkata has a typical tropical climate, humid and hot for the most of the time of the year. Kolkata however receives a moderate rainfall and light woolens are needed during the peak winters of December and January. Talking about Kolkata peak travel time, it can be said that period between October-march is the best time to visit Calcutta. This is the perfect time to savor the autumn season that is in its full bloom. Not only the weather is pleasant, but also, it is the time of festivities. Durga puja is a festival that is celebrated with great pomp and show. Laxmi puja and Diwali follow it. January-February is the period that witnesses the conduct of Calcutta book fair that acts as a platform for bringing people from all over the world together under one roof. Thus, if you have an option to choose the time period, then plan out your tour during October-March, as it is the ideal time to visit Calcutta. It is completely accessible by air. There are a number of domestic airlines that connect Kolkata with other major cities of India like Ahmedabad, Bagdogra, Bangalore, Bhubaneswar, Chennai, Delhi, Guwahati, Hyderabad, Jaipur, Lucknow, Mumbai, and Port Blair. Kolkata is well linked to other parts of the country by railways. There are super fast trains like Rajdhani Express and Shatabdi Express that join Calcutta from Delhi and other nearby places. Calcutta consists of two major railway stations; one is located in Howrah and the other at Sealdah. The city of joy is well linked with almost all the cities of India by road. The Esplanade Terminus is the main bus terminus that lies in the heart of the city. The latest development is the starting of Dhaka-Calcutta buses, which are fully air-conditioned and also very comfortable. Some of the important places worth visiting in Kolkata are listed below. The Victoria Memorial was built by Lord Curzon in memory of Queen Victoria and is a fine huge white-marble structure. It is now a museum that houses the most impressive collection of memorabilia from the days of the Raj. The Howrah Bridge is a 450 m long bridge without any pylon in the river and has the distinction of being the busiest bridge in the world catering to around 100,000 vehicles and innumerable pedestrians. It is an excellent example of engineering techniques of the early 20th century. Eden Garden is a small and pleasantly laid-out garden that was once the gathering place of the social elite. It today houses the renowned cricket ground by the same name. Also known as Kalighat, the Kali Mandir is dedicated to Kali, the Goddess of destruction and is a frequented tourist destination. Fort William was constructed in 1781 and is still in use. The large patch of green around the fort is known as the Maidan (ground), or the lung of Kolkata. It stretches for a distance of 3 km and is 1 km wide. The Birla Planetarium is a single-storied circular structure that is one of the largest of its kind in the world. Its central dome is an imitation of the Buddhist stupa at Sanchi. The Marble Palace exhibits art forms of Italy, the Netherlands, England and other European nations. The interiors of the palace-the floors, walls, and tabletops-are all made of marble. The Indian Museum is the oldest museum in India, which was built in 1874. The entrance to the museum has an original Lion Capitol, the national symbol of India and the museum itself is home to a rare collection of artefacts. Dalhousie Square, which was renamed Binoy Badal Dinesh Bagh (also BBD Bagh), is the hub of West Bengal's administration and commerce. All important government institutions of the state are located here.